SAPPORO - A Hokkaido newspaper company tested delivery by drone on Friday to determine whether the unmanned aircraft can be relied on to bring news to the public in times of disaster. 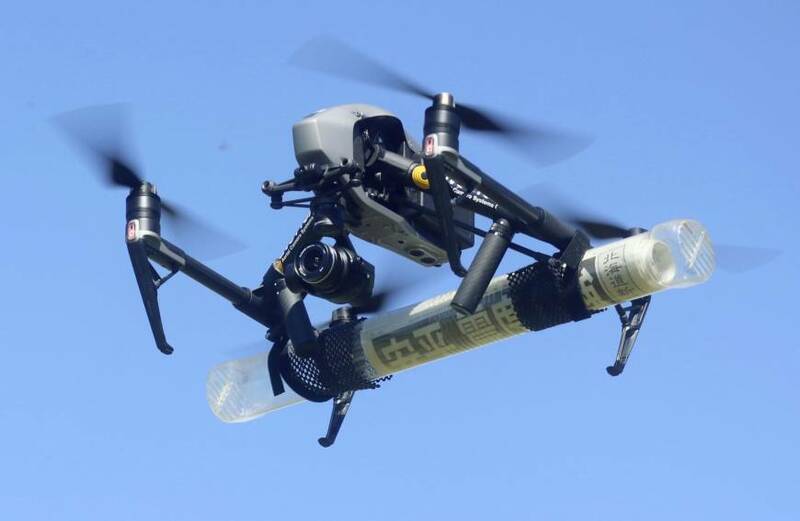 Two weeks after a level 7 earthquake caused deadly landslides and a prefecture-wide blackout, a group comprising operators of the daily Hokkaido Shimbun’s delivery shops successfully flew a drone carrying 10 copies of its newspaper 200 meters across a river in the city of Asahikawa under a hypothetical scenario in which a major quake damages a bridge and severs roads. The magnitude 6.7 quake on Sept. 6 triggered landslides that engulfed homes and shattered roads, while the blackout cut off access to information via TV, computers and mobile devices. “I’m glad we were able to deliver them successfully, as newspapers are an information infrastructure that is necessary when something drastic happens,” Takuma Banno, 41-year-old head of the daily’s distribution shop in Sapporo, said of the one-minute flight. The idea for the test was hatched in May and planned out before the quake struck. 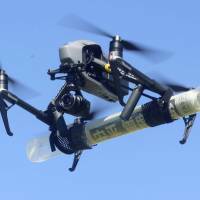 The group said it plans to also explore the possibility of automating distribution by drone.